Walter Schulze GmbH wants to make the search and ordering of products much simpler. 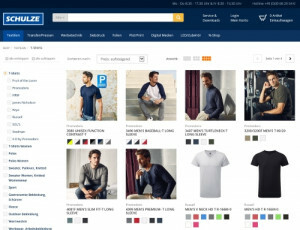 Therefore, schulzeshop.com will receive a new and modern design. This will be complemented by a user-friendly interface and an uncluttered navigation. With new filter functions, the customer will find the desired product quicker. Also the login-area is new and offers a clear presentation and more information for the users. The new Schulzeshop includes more than 60.000 products from recognized providers.